Goodyear Tire & Auto Repair welcomes Pontiac owners. 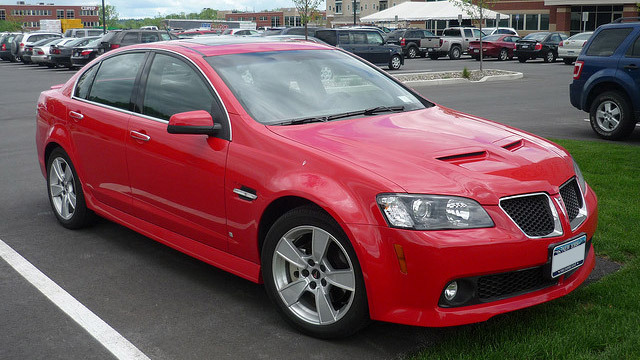 We are the one-stop shop for all your Santa Cruz Pontiac service and repair. Our nationally certified technicians are equally comfortable performing complex diagnostic and repairs, as they are doing an oil change – if your Pontiac needs it, we can do it. In addition to providing oil service and manufacturer recommended maintenance, our Santa Cruz auto repair shop can perform all manner of repairs - brake repair,A/C recharge,check engine light diagnostics, spark plug replacement, electrical system diagnostics, electrical repairs, timing belt replacement,transmission service, fuel pump replacement, water pump replacement, AC repair, shocks and struts, clutch repair – to name just a few. Our mechanics have years of experience working on Pontiacs, and we have the tools and parts suppliers that can provide us with the parts we need. Since your Pontiac is getting on in age, it’s very important to perform regular maintenance, and in particular, oil changes. They not only extend engine life, but give us an opportunity to inspect belts, hoses, and tires – which gives us a chance to spot impending problems before they lead to breakdowns. Naturally, we will also check tire pressure and adjust it as needed – this improves fuel economy and extends the life of the tires. So whether you Grand Am has electrical problems, or G6 has steering problems, or maybe your Pontiac Grand Prix needs A/C repair, bring it to our Santa Cruz auto repair shop and we will take good care of your vehicle. At Goodyear Tire & Auto Repair, we service most Pontiac models: Grand Am, Grand Prix, Sunfire, Bonneville, Aztek, Montana, and G6. Call us to make an appointment, or schedule an appointment online – we will help you keep your Pontiac on the road.